Top protection solutions for top professionals - OSNOVA s.r.o. Osnova s.r.o. was founded in Czech Republic in 2013 and operates as the developer and worldwide distributor of top-quality turn-key solutions in the areas of private and industrial safety and protection, civil engineering, transport, sport and leisure, medical technology and other industries. We propose a complete end-to-end highly adept service that includes in-house research and development, design, testing and production placement cycle, tailor-made for our customers. For us, the diverse requirements of our cross-sector customers are welcome challenges that are solved with our in-depth know-how. Our customers’ high expectations and an increasingly complex market environment require maximum flexibility with regard to the development of highly customized solutions as well as product development, delivery service, and customer support. Reliability to our customers is our highest priority in times of a continually changing business environment. Our success factors are innovation, flexibility, reliability, highest quality standards, and customer-oriented service. We recognize the importance of working with customers to deliver tailored product solutions that will help their businesses prosper and grow. Our ability to deliver unique solutions is achieved not only through working closely with customers every step of the way, but also through understanding their requirements, developing real partnerships and through collaboration with leading professional suppliers. It is our invariably high product quality that enables us to generate sustainable customer satisfaction and thus meet our own requirements. The future of our company is predominantly determined by our ability to understand customer requirements, to fulfill them completely and to be a predictable partner. We enhanced communication with our customers‘ and end-customers‘ developers and design engineers for a diverse spectrum of sectors including the automobile, industry protection, sport and leisure, construction and other industries. In our trading activities we are focusing on search, selection, supply and delivery of materials and components such as textile and fabrics, technical ceramics and high-performance plastics in accordance to customers’ requirements. We offer a high capability single-source solutions service for all customers that require special expertise for high performance protection. With a dedicated in-house research and development team that works closely with customers, suppliers and end-users, we solve complex problems and are renowned for delivering innovative leading edge solutions. We provide high performance, precision engineered work wear fabric solutions for all applications where personal protection and human safety is paramount. We work with the world’s best accredited manufacturers of protective clothing, garments and equipment in the modern world. Our textile solutions deliver innovative high performance safety features in support of the fire and rescue services and for personnel working in hazardous industrial environments. We propose personal protective fabric solutions produced with inherently flame resistant fabrics and meshes meet the stringent requirements of globally accepted standards, especially in the provision of critical protection against heat and flame. These fire retardant fabrics provide security and safety across the industrial markets for contractors working in such areas as chemical and petro-chemical industry, electricity and gas distribution, railway and road maintenance, airport refueling etc. 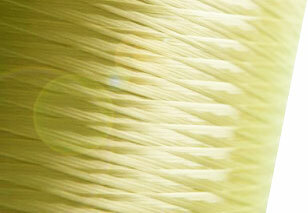 aramid and other fibers’ fabrics for application of special conveyor belts. 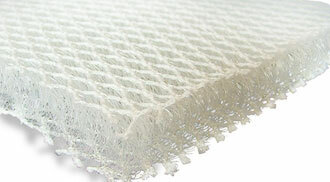 non-woven aramid felts, with various weights and thicknesses, which are used for various industrial applications. We recognize the importance of working with customers to deliver tailored product solutions that will help their businesses prosper and grow. Due to our long-term experience and strong cooperation with major European design bureaus we can offer state-of art cost-effective tailor made solutions in accordance with customer’s requirements in personal head protection such as goggles and helmets. We provide solutions based on complete service ranging from three-dimensional modeling to the industrialization of the mould, through the design to implementation, from the initial concept of any object to its evolution. Every market and every single application has its specific characteristics. We help our customers to find just the right material due to our expertise in completely different markets and our long-term close collaboration with the leading European developers and manufacturers of technical thermoplastics and elastomers. Our flexible customized solutions are based on both standard blends of polyamide 6/6.6, polypropylene, polyethylene and their modified and filled compounds. 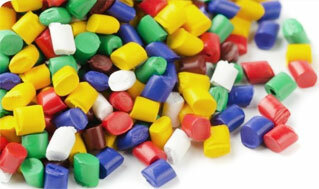 Thermoplastic elastomers based on styrol block copolymers of EPDM/PP blends are also widely used. We use synergies resulting from projects in diverse markets to find tailor-made solutions for our customers, no matter how challenging they may be. Our aim is to provide our customers with the best possible support and the optimal product in combination with the most flexible supply chain. A cooperative partnership with our suppliers is an essential success factor in a constantly changing world. Therefore, we consider the strategic development of our supplier relationships and the optimal selection of raw materials as a crucial competitive advantage we intend to benefit from.